Calling all Developers! We've just launched several extensions to the Gadget API that will enable developers to build more relevant and engaging gadgets for Blogger. As you may already know, every Blogger blog is a gadget container. What's more, every blog is an OpenSocial gadget container powered by Friend Connect. This means that as a gadget developer you can leverage social APIs to build engaging tools for bloggers and their audience. In addition to leveraging social data, gadgets can now access a blog's post and comment feed via new JSON APIs. 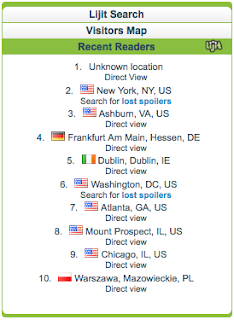 For example, with this data you could easily build a map gadget that maps the geo-location of posts, or a "Most Commented On" gadget that ranks posts by the number of comments they've received. Need to be inspired? Recently we asked our users what gadgets they most wanted to see in Blogger. Hundreds responded and here's their wish list. When you build a gadget for Blogger, it becomes available to millions of active bloggers. Just submit your gadget to us, and within minutes it will surface in the Blogger gadget directory where users can easily browse, configure, and add your gadget to their blog's sidebar. So now that you know Blogger is a great distribution platform for your gadget, what are you waiting for? Get started building Gadgets for Blogger now. Important Note: The APIs and documentation are new, so there may be bugs. Let us know by posting to the Blogger Developer Group if you run into problems developing your gadget. Periodically, we profile a Blogger partner that can add functionality to your blog. This week we'd like to spotlight Lijit, a company building "search powered web applications for publishers" (that's you!). Lijit has made adding its "wijit" as easy as could be—just fill in your blog's URL and complete the sign-up wizard, you'll be good to go. What does Lijit give you? 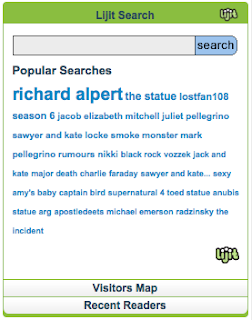 For starters, Lijit provides a nice search tool for your site that will not only search your blog, but search the blogs of your friends, and all of the related sites (Flickr, YouTube, Picasa, del.icio.us bookmarks, etc.) that you and your friends use regularly. Where Lijit shines is in the stats they gather for you: what are people searching for when they come to your blog? Once they arrive, what do they then look for? Where are they coming from? How has search traffic changed over time? Interested? 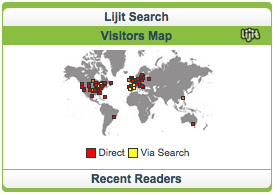 Give Lijit a try - just visit their site and you'll have it on your blog in just a few minutes!